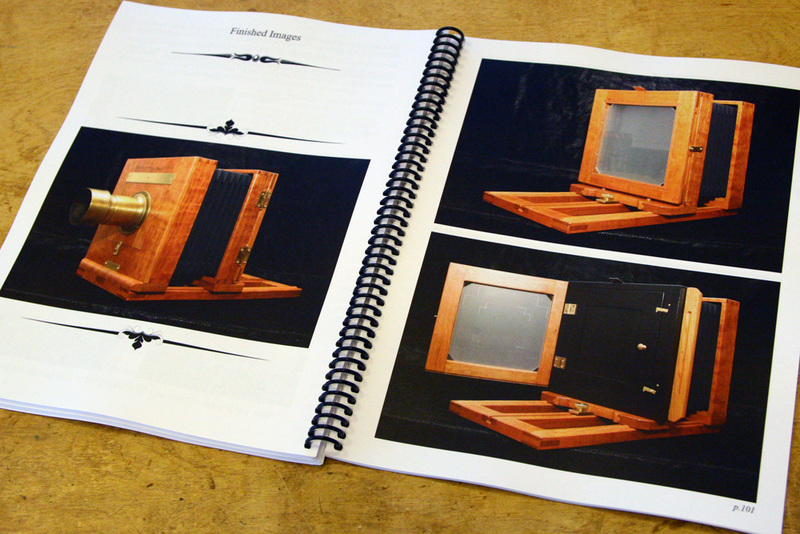 This is a very comprehensive book on building a historically-correct bellows camera for plate photography. It takes you through all the basic stages of the base, standards, bellows, plate holder, etc; and also touches upon other aspects such as folding tailboard, rise/fall, tilt, and swing. 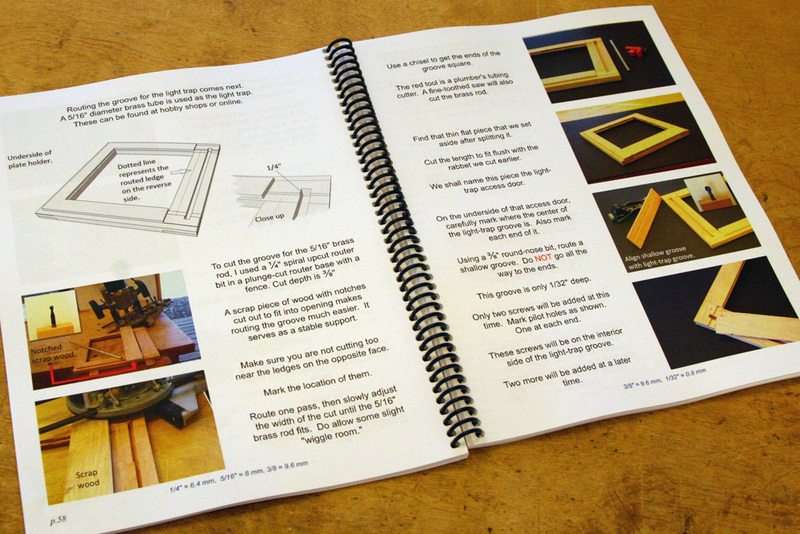 The book follows along with the build of a 5"x7" camera. 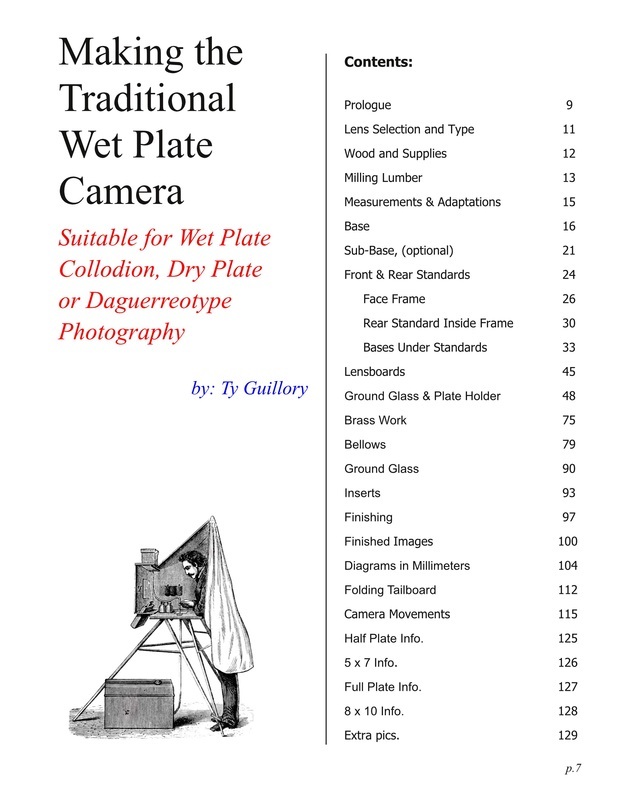 Also included are the critical measurements for cameras from half plate up to 8x10. 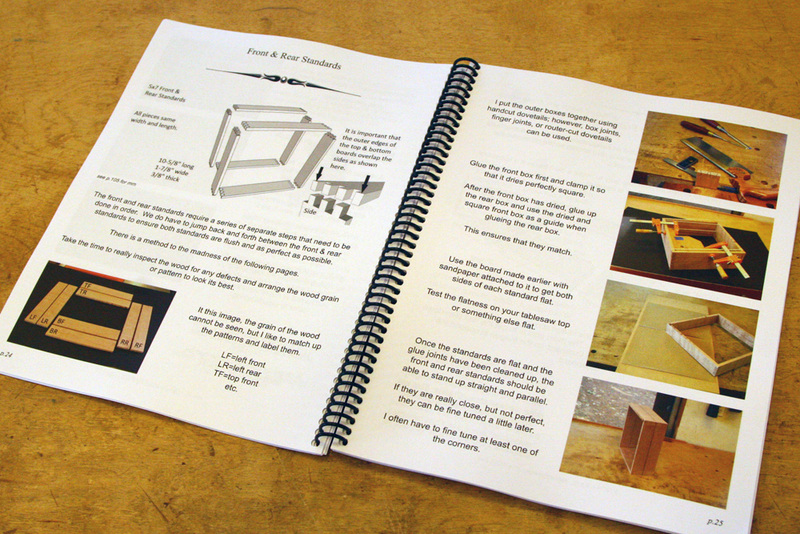 Measurements are listed in mm at the bottom of each page and the diagrams are repeated in mm in the rear of the book. I have found that the new eBay shipping system for international orders is working better than me shipping directly overseas. 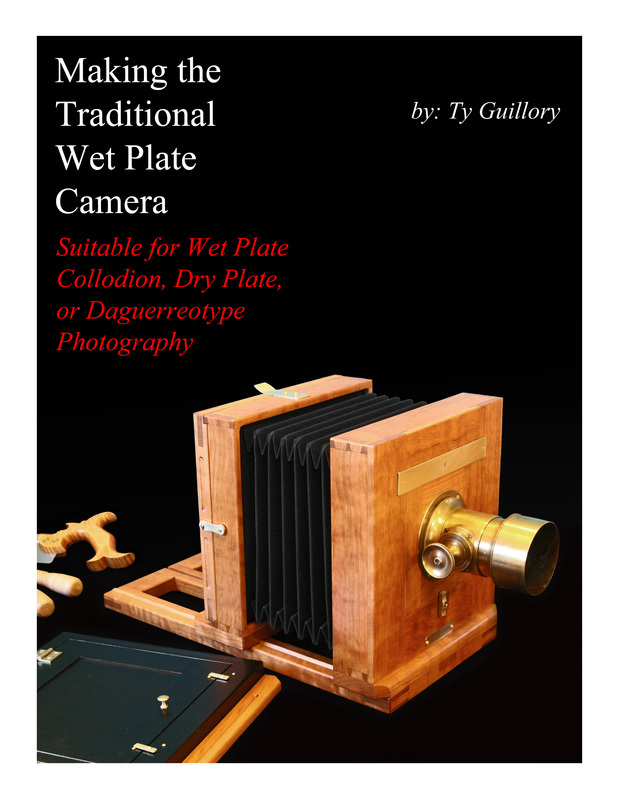 So, please go to the US eBay link below and type "Making the Traditional Wet Plate Camera" into the search section.